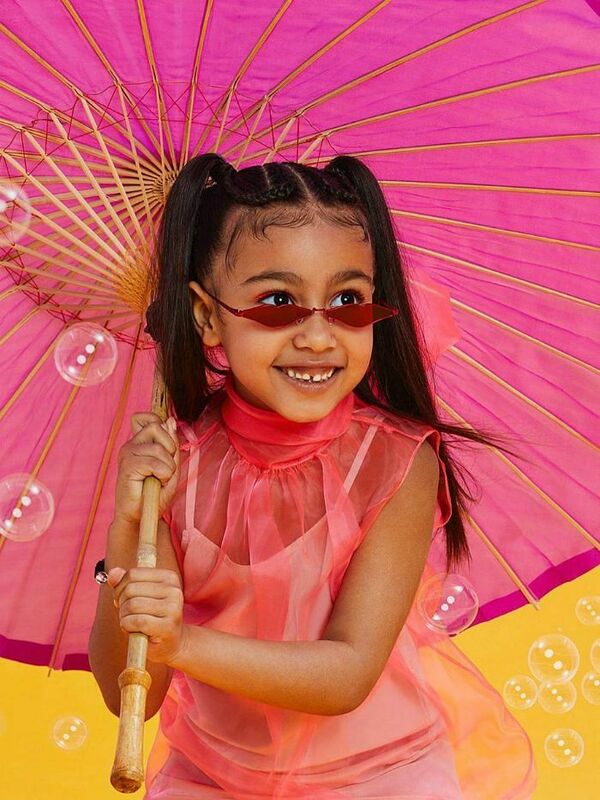 Apart from the daily gossip and entertainment the Kardashian-Jenner sisters provide, they also have the most adorable and fashionable babies we’ve ever seen. So why be embarrassed taking sartorial inspiration from children when they dress up in Alexander Wang, Balmain and Yeezy? North West was a total mood when she showed us how to groove at a Sunday Service Kanye West organised at Calabasas. Also known to be one of the stylish and hip services ever, the eldest daughter of Kim Kardashian rocked a feather-topped black dress and black combat boots. She was even ready to throw shades with those black sunglasses. Kim sure knows she’s raising a future (or current) style icon. Just recently, North graced the cover of a magazine and Kim wrote: “She loves fashion & beauty and has so much fun doing this!” on her Instagram post. The vibrant outfits from the photo shoot are perfect for summer and its sweltering heat! North poses with a pink umbrella while donning a coral mesh top over a white strappy dress. To complete her outfit, she accessorised with 90’s-inspired red sunglasses. Channeling nostalgic galactic vibes, North puts on a holographic nylon spandex crop top with matching lilac pants. Her hair is done up into Princess Leia’s iconic space buns which totally brings forth her galactic-princess presence! Showcasing the streetwear trend we all know and love, North turned heads with this neon pink adidas outfit while striding in fluorescent Yeezy sneakers. Can we also talk about how cute her accessories were? Her candy choker and that rainbow unicorn. Chicago’s birthday party was (and still is) #BirthdayGoals and so was her outfit! She wore the tiniest white quintessential Cheongsam dress and (tried to) toughen her adorable look with combat boots. Chicago and True shared a gossip sesh while dressed in what seemed like the comfiest fits ever. Steal their relaxed yet classy cashmere looks for the cooler days. Maybe get a pair of mini Yeezy sneakers or ballet flats to finish the outfit! 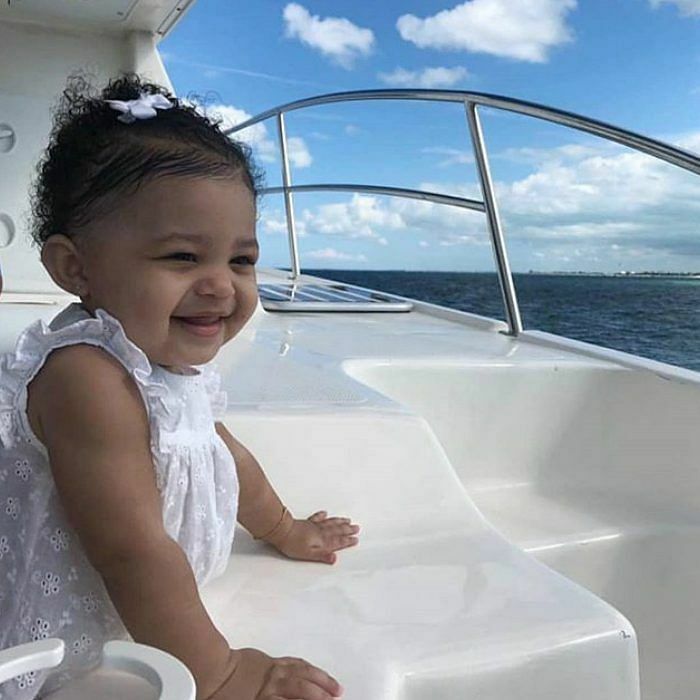 At just one, Stormi supports herself on a yacht deck with her tiny palms. Her cute smile stole the show from her frilly white dress. Extra-small bags are in this season, just look at Jacquemus’s new collection. Stormi showed off her sassy side as she flung the bag over her shoulder – a natural Clueless Cher or did she pick up this pizzazz from her mother? Stormi shines bright like a diamond in this fully embellished one-piece suit, reminding us that she is indeed a gem in her mother’s eyes (and ours)! This one’s for the streetwear lovers. 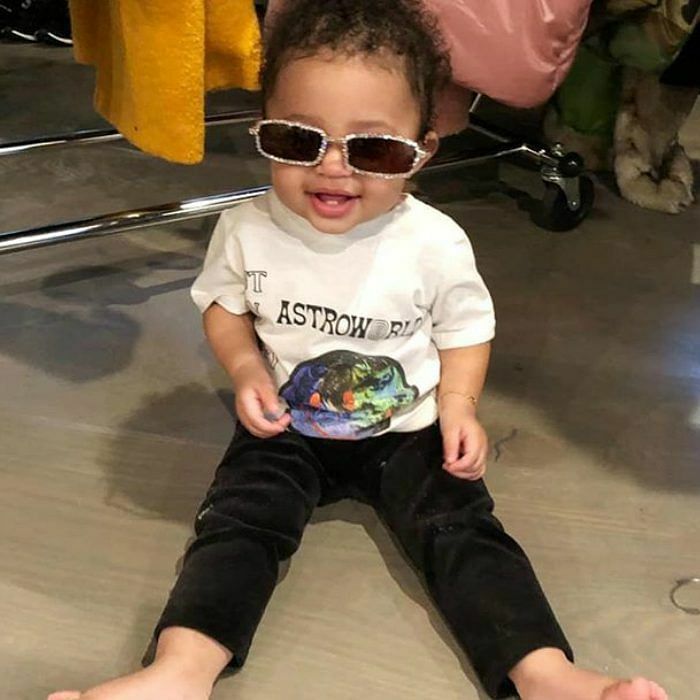 Wearing a tour tee belonging to her father, Travis Scott, and pairing it with black jeans finalises a look made for the Hypebeast’s. 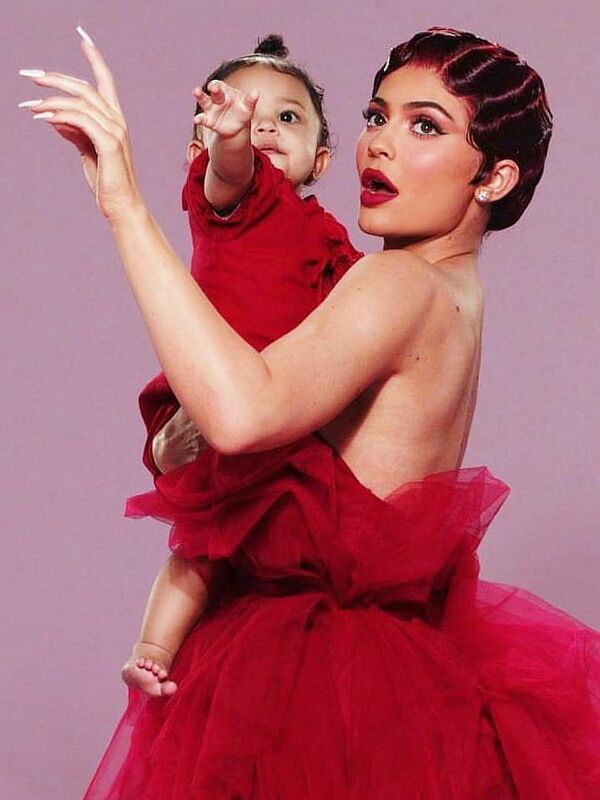 Stormi is dressed in a red dress with her glamorous mother for a photo-shoot. 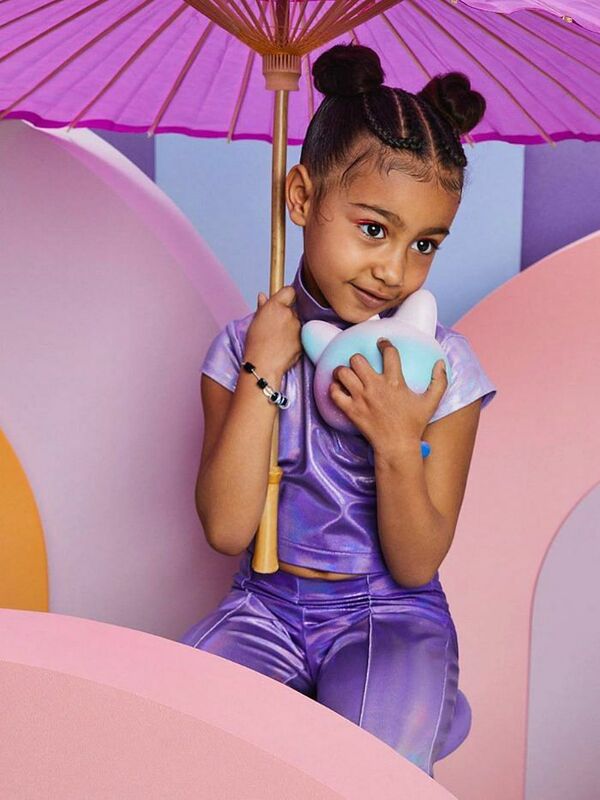 This little one sure knows her way in front of her camera as we think she stole the show even from the beautiful Kylie Jenner. I can not believe my baby girl is 5 years old today 😭 Happy Birthday my sweet angel. I feel so blessed to be her mommy every morning that I wake up next to her. Penelope’s vibrant tunic dress is a perfect summer piece. The bright colours and floral prints on the sheer overlay makes the what was a simple throw-over a fun piece! 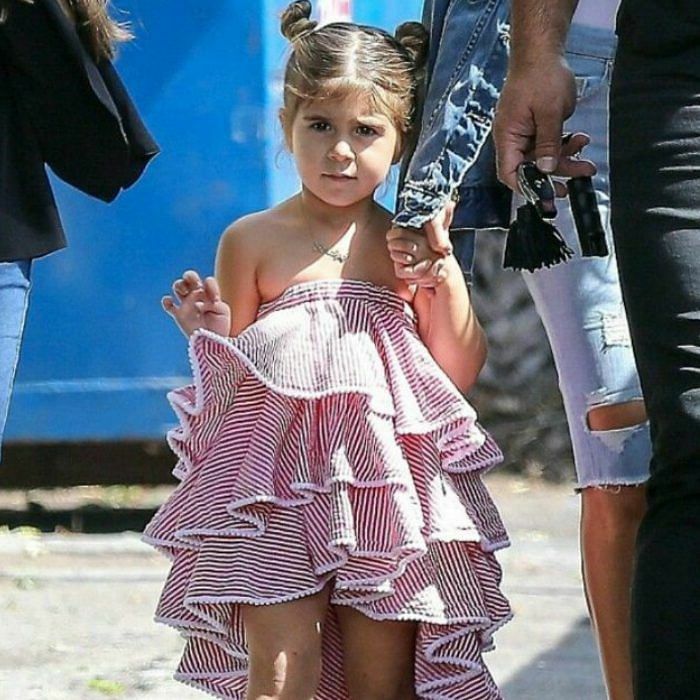 Penelope wears a ruffled striped dress in red. The many layers glams up this casual summer dress!